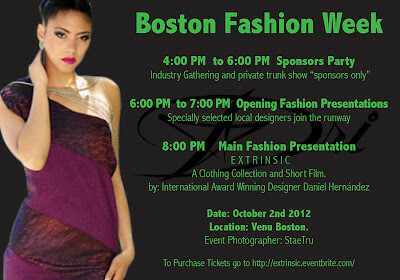 Boston Fashion Week promo featuring my shot of Maybelline. Model - Maybelline. Clothing Designer - Adriana Giron. Jewelry Designer - Pearl Naidoo. Make Up - Rue Mendez. Hair - Willie Hall. Photographer - Joe Sales. Location - Manhattan, New York. Model - Khristy Clothing Designer - Adriana Giron Jewelry Designer - Pearl Naidoo Make Up - Rue Mendez Hair - Willie Hall Photographer - Joe Sales Location - Manhattan, New York .